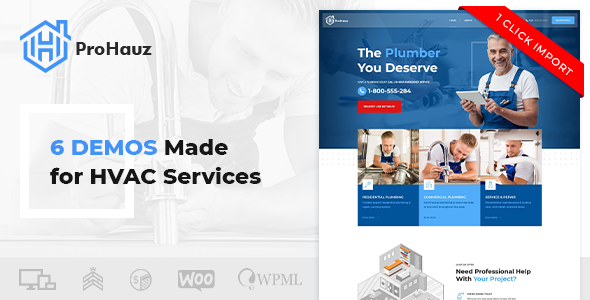 ProHauz is a WordPress Theme for HVAC, plumbing and solar system services. 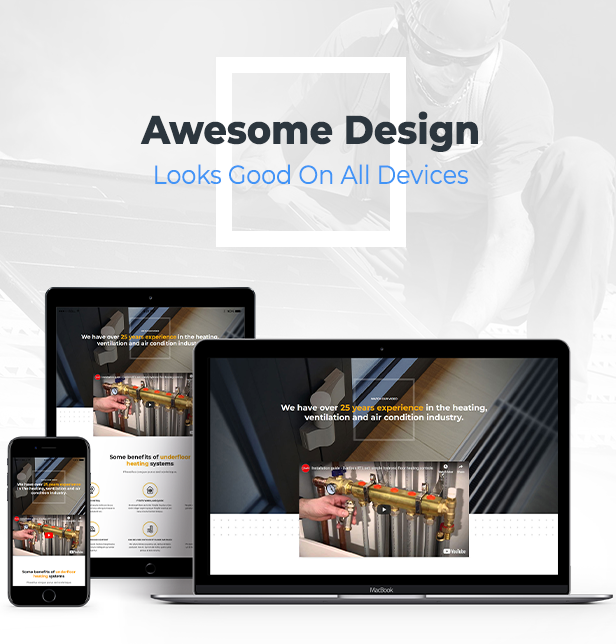 This WP theme is built having in mind actual needs of HVAC, plumbing and solar system service providers and their clients. This is a modern theme with 6 homepages and many well designed inner pages. 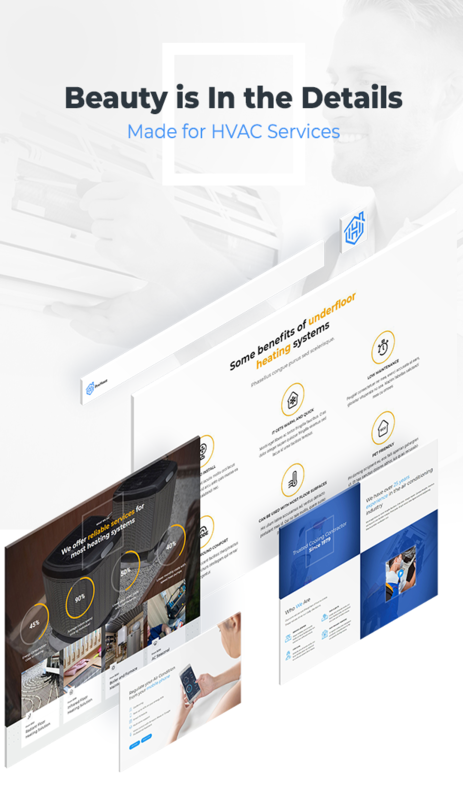 ProHauz WordPress Theme for HVAC services is responsive and retina ready. 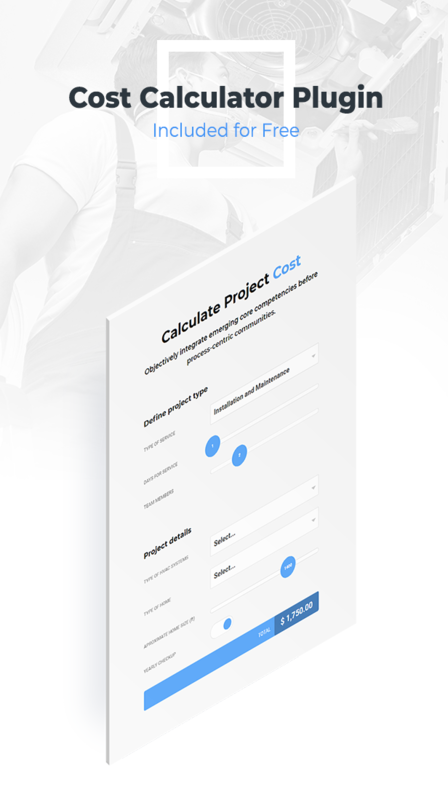 ProHauz offers comprehensive options panel, unique page transitions and distinctive typography and highly rated customizable Cost Calculator plugin that comes free with this theme. It also includes easy to use and fast Bold page builder. With one-click demo content importer tool you will have a fully featured website. You can then start personalizing your WordPress website through the theme options control panel, and replacing the demo content with your own. ProHauz WordPress theme comes with free updates and free post-sales support by our highly acclaimed support team.